My desire to eat simply has persuaded me to spring clean the freezer by using the food that is stocked in it. While digging through it recently, I found some yellowfin tuna that I had bought a chunk of, cut into steaks and froze, so I took them out to defrost. I did a quick internet search for an easy recipe on seasoning the steaks and found a delicious one on AllRecipes.com which I will share with you. I like fish, some types anyways, and knowing that fish is healthy for it’s omega 3 fatty acids which is healthy for our hearts and cholesterol levels, I try to eat it at least once a week. A positive thing that happens when I make fish is the fact that the whole meal ends up being very healthy and low fat; it must be a subliminal message – but I’ll take it! 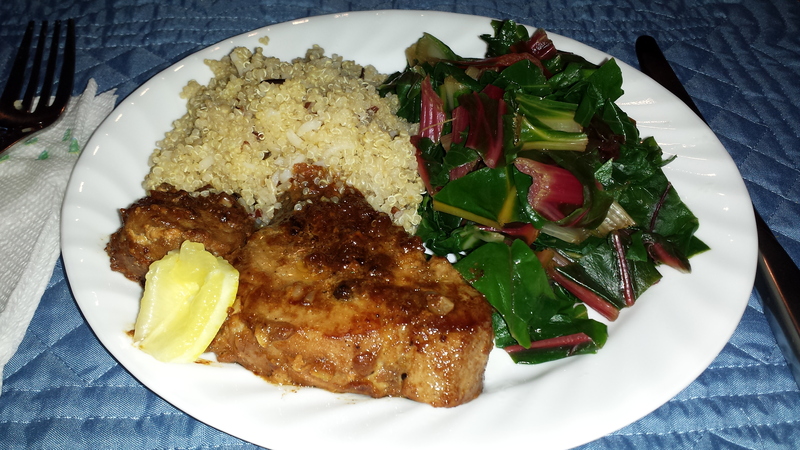 This recent meal included the yellowfin with the recipe from AllRecipes.com, a quinoa with some mild herbs and *steam-boiled rainbow chard – (* boiling and draining the water from chard helps get rid of some of the oxalates which can cause kidney stones) I sprinkled a little lemon juice on the Swiss chard and on the quinoa since the yellowfin marinade had plenty of salt in it. The tuna was clearly the star of the plate. 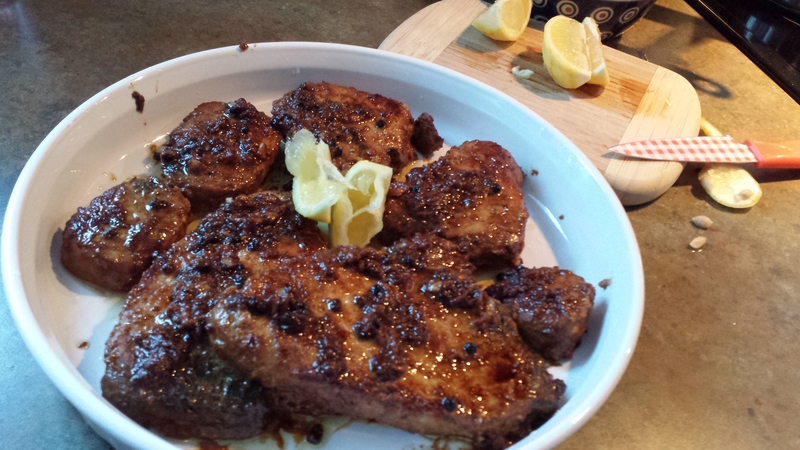 Here’s the Grilled Yellowfin Tuna Recipe. Due to cold temperatures outdoors causing the grill to fluctuate in heat, I chose to cook the fish in a pan indoors and the results were still amazingly delicious. Try this recipe out next time you plan to cook meaty fish steaks; I’m sure it would work nicely with swordfish, salmon and Ahi tuna as well as yellowfin.